Posted on March 20, 2016 by AmandaPosted in C25K, Fitness, Gastric SleeveTagged Gastric Sleeve, Goals, Running, VSG, Weight-loss, WLS. Good for you!! I’m a certified fitness professional and an avid distance runner. I was also diagnosed with cancer in September of 2015 and have had abdominal surgery. I know how you felt recovering from your surgery. It’s not a fun time. I applaud your exercise habits. I’m a blogger here myself and I have a facebook page where I give daily inspirational (hopefully) advice on how to keep on track. You can find me at https://www.facebook.com/capablyfit/?ref=aymt_homepage_panel If it’s something you like the look of, give the page a “like”. I’ll be following your blog to see how you do. I’ve got a good feeling you’ll be improving that time! Thank you! I definitely look forward to following you along too! I will totally second that!! Love the tutu, girl!! You inspire me with the impressive times. 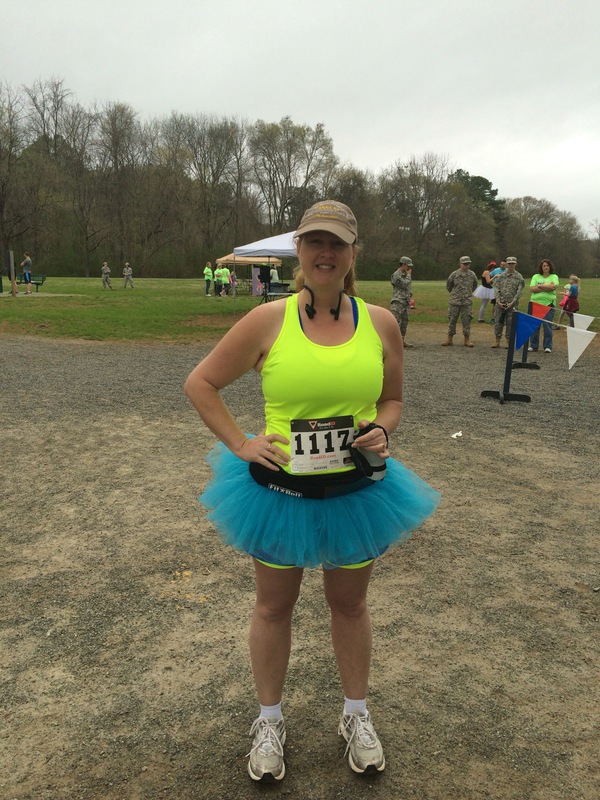 I haven’t signed up for any races, but maybe I should….but I want a tutu! I have to say I enjoy the eaves very much and they keep me motivated. I’m actually quite disappointed my next one isn’t until 4/16 because there are just nine remotely close to me until then. 😞. I ordered the tutu from Amazon for $9-and it’s pretty great. I will definitely be wearing it again! Tell me if you do a race-even if you just walk it it’s great fun! I love that they motivate you! That’s the point isn’t it?? We all have to find that thing to motivate us and keep us going!